First Impression: He wants to sneak in for a kiss. Second Impression: I don’t think I would mind. 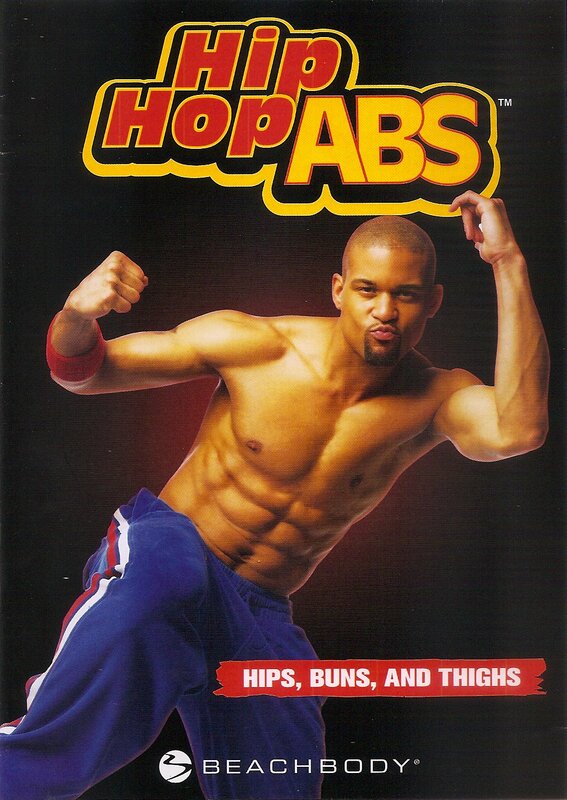 My only prior knowledge about Hip Hop Abs was from all those infomercials that feature soccer moms lifting up their shirts to reveal (possibly enhanced with airbrushing?) ripped abs. They gesture at their stomachs like The Jersey Shore’s “the Situation” and hoot, “Hip Hop Abs!” while the camera zooms in at a Dutch angle. This DVD is kind of like that, but with some exercise stuffed in there. Like other routines that claim to be an efficient thirty minute workout, this one does not have an adequate warm-up or cool down. That’s how they fit it into thirty minutes. They don’t waste your time with all the boring stretching. You can stretch on your own time, Girl! This workout is really fun and Shaun T’s technique of Tilt, Tuck, and Tighten is pretty effective. A co-worker said her mom got this video, and claims it doesn’t work. Did she actually do the video? More than once? You won’t see results if you just have the DVD case on your console table, with Shaun T’s come-hither eyes following you around the room. Following the workout is a breakdown of a hip-hop routine that looks like it was filmed on the stage of a comedy club where I used to perform sketches. I know those red seats! I get through the dance about as well as could be expected. Let me tell you, I have that first count of eight down! I am so fierce! Up until the turn. Then the whole thing just falls apart. This entry was posted in Reviews and tagged "even louder music" option, 30 minutes plus, cardio, challenging, countdown clock, dance, fun, split clock, trendy. Bookmark the permalink.